tachyon, do we know where he will be standing at stud? Does his owner have a breeding farm/broodmares or does he race only? 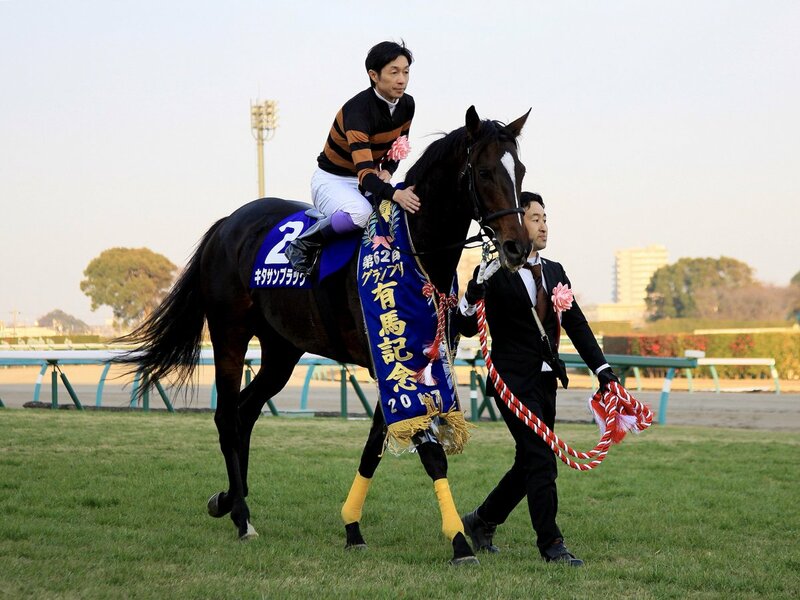 In his final performance, #KitasanBlack with Yutaka Take becomes Japan’s all-time leading racehorse by earnings as he wins the G1 #ArimaKinen (7th G1 win) at Nakayama Racecourse. Retires to Shadai Stallion Station. Wow! Thank you for that photo. "The Black" is one truly stunning horse. He seems to have all the presence, power and fire of his grandsire, Sunday Silence. I wish him and his human family all the best as "The Black" begins his stud career. Ah I *did* miss a song when the Dubai Racing feed cut out during the post-race ceremonies. CUTENESS WARNING: THERE ARE FOAL PHOTOS IN THE VID. FOAL. PHOTOS. lurkey mclurker wrote: Kitasan Black gets a huuuuuge ovation as he comes onto the turf course and starts his warmup. Mr. Kitajima's tribute to Kitasan Black is very, very touching. It's wonderful to know that the horse is so loved. Have to tip my hat to Kitasan Black, who always seems to fire. Nice effort for second by the mare Queen's Ring. Her connections must be thrilled. Wonder if she will stay in training or head off to be a broodmare. Starine wrote: Nice effort for second by the mare Queen's Ring. Her connections must be thrilled. Wonder if she will stay in training or head off to be a broodmare. That was her swan song. The 2016 QE2 Cup winner will be a broodmare at Shadai Farm where she was born. 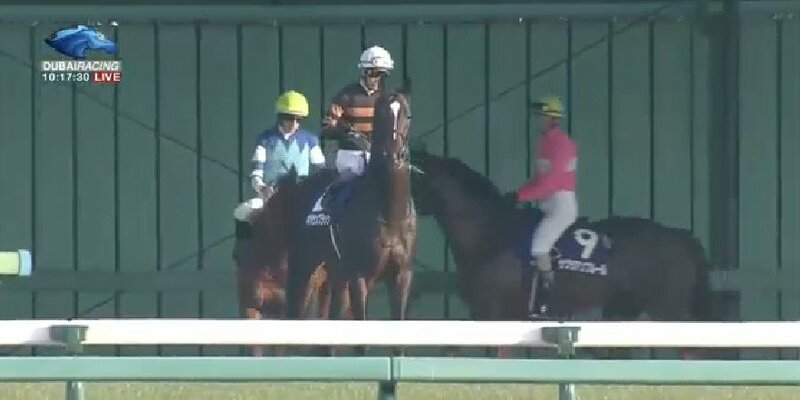 tachyon do you know if Rouge Buck, Reine Minoru & Mikki Queen will race next year, or are they too being retired? lurkey mclurker wrote: tachyon do you know if Rouge Buck, Reine Minoru & Mikki Queen will race next year, or are they too being retired? Reine Minoru will remain in training. I don't know about Mikki Queen. Rouge Buck will be retired by the end of March to be a broodmare. I don't know if she has already run her last race. Rouge Buck(JPN), 2012M. Manhattan Cafe(JPN) x Ginger Punch(USA), has officially been retired from racing. It was a big shame that she could not get to a G1 victory, while she credited four graded wins beating the boys each time. She was such a popular filly. And we all hope that she will be a G1 producer in her long career as a broodmare. She always gave her best, a very game filly. Do you know who they will send her to, tachyon? lurkey mclurker wrote: She always gave her best, a very game filly. Do you know who they will send her to, tachyon? As Rouge Buck is a Northern Farm's mare, she will be bred to one of the Shadai Stallions (unless she is sent to overseas). King Kamehameha has to be the logical choice. Wow would that be hard to decide, too many fabulous choices! But hmm, yes I would lean toward King Kamehameha, Lord Kanaloa or maybe Heart's Cry? or would that be too inbred to Sunday Silence? Or Harbinger, he's been doing well with his runners too. I'd put my money on King Kamehameha, given that he's not getting any younger. But I also wonder who Queens Ring will go to.